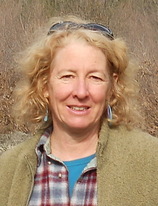 Brenda founded Table Rock Foundation with her good friend Phil Hart in 1996 with the intent to connect caring people around the globe with a focus on humanitarian, cultural and environmental projects. Believing that by teaching our future generations the philosophy of self-worth, as well as service above self, we could improve the quality of life for all. She is our lead “Rainbow Grandmother” helping to inspire all of us to see the positive change in the lives of the young people who have come to the Enchanted Forest. ​​Kari has an extensive history of working with youth in different capacities. She has worked as a behavior specialist in an alternative school, as a treatment coordinator assisting families to keep children in their homes rather than foster care, as a program coordinator at a therapeutic boarding school, and as a school counselor. She aligns easily with the Table Rock Foundation’s mission and vision statement and feels compelled to be a part of an organization that may be the focal point of change for many youth participants. That feeling when you’re connected with nature, that’s why Jacob joined Table Rock Foundation. “Because I wanted to provide future generations with that exact feeling. And at Table Rock Foundation camps we are able to provide just that in an environment that fosters leaders, stewards, and understanding.” He graduated from the University of Oregon with a degree in Planning, Public Policy, and Management with a focus in nonprofit work, and he uses his degree every day if it’s from his place of employment to volunteering at the Rotaract E-club programs. Bobbie believes the investment of time and energy into our future generations through nature is achieved through the Table Rock Foundation. She has served as a mentor for College Dreams, just one group of at risk youths served by Table Rock. She was also a CASA (Court Appointed Special Advocate) for children for ten years. The experience of watching the transformation Table Rock’s Youth Camps have on young lives is amazing. Bobbie’s career as a certified public accountant would not have been possible if not for people who took the time to invest in her. Table Rock Foundation gives us all a chance to create a cycle of caring for our environment as well as our youth. Ellie's passion has always been working and connecting with children of all ages. Upon retirement, Ellie decided to join Table Rock Foundation; greatly respecting the mission of the organization, wanting to play at Enchanted Forest, and wanting to be part of a group of like-minded folks who want to make a positive difference in the world. Ellie worked almost 20 years at Head Start, as a teacher, social worker, and home visitor. After a stint in the Peace Corps in Nicaragua, Ellie came home and worked 6 years for a local non-profit where she was on contract with Dept. of Human Services to teach parenting skills to folks who had lost their kids to the foster care system due to abuse or neglect. 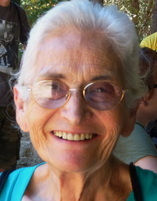 Ellie was part of the initial CASA group and mentored foster kids for many years. Upon retirement, Ellie joined Rotary, was the foreign in-bound student counselor, and subsequently became a host mom to a young Ecuadorian high-schooler. Ellie is thrilled to be a "rainbow grandma" and looks forward to growing personally with this wonderful organization. environmental education and interpretation, especially with youth, had led to work in interpretation and with other non-profits - the development of a mobile science trailer that travels to schools, conducting youth day camps, work with local national parks, and recently involvement and volunteering at Maya Jaguar High School Center in Guatemala.